I’m not saying the entire feature animation industry has been listening directly to me. But I’d like to say thank you. You guys are starting to get me. Because this summer, the bane of my critical existence where animated features are concerned—the “be true to yourself” plot—has been pounded into an unrecognizable pulp. It started with Disney/Pixar’s Brave, which complicated the tale of a young misfit with the notion that responsibility is just as important as dancing to the beat of your own drummer. 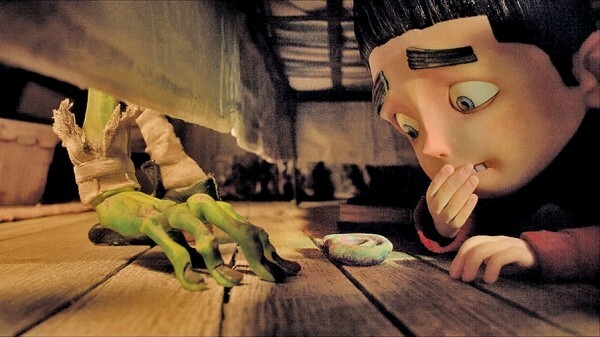 Now comes ParaNorman, the stop-motion tale of a misfit that adds even more knotty psychology into the mix: a recognition that being targeted for your weirdness comes with additional burdens. The oddball protagonist here is Norman Babcock (Kodi Smit-McPhee), a middle-schooler in the town of Blithe Hollow fascinated with zombies, horror movies and other stuff that would generally have counselors watching him very closely. But there’s a reason for Norman’s singular obsessions: He sees dead people, including the grandmother (Elaine Stritch) on the living room sofa with whom he still converses. Naturally, Norman’s strange behavior makes him a target of bullies like classmate Alvin (Christopher Mintz-Plasse), but it also makes him the one person who might be able to save the town when a long-promised curse threatens to come to pass, turning the undead colonial-era residents who sentenced a “witch” to death loose on the locals. Directors Chris Butler and Sam Fell—working with wonderful stop-motion production designer Nelson Lowry (Fantastic Mr. Fox)—create a uniquely cockeyed world in Blithe Hollow, with its kitschy witch-themed stores and creepy woods, as well as a delightful prologue poking fun at low-budget horror movies. Like too few films of any kind, it’s loaded with wonderful details that create a fully inhabited world (like the carpal-tunnel wrist brace worn by one of Norman’s teachers) and sly throwaway gags that won’t all be spotted the first time around (sign outside Norman’s school: “Spelling bee Wensday”). Add a handful of appealing supporting voice performances—including Anna Kendrick as Norman’s teenage sister, and Tucker Albrizzi as a good-natured classmate who becomes Norman’s one reliable friend—and you’ve got a lively piece of entertainment. But the heart of the story, scripted by Butler, is an exploration of bullying that’s startlingly complex. The mockery that Norman endures as a result of being “weird” isn’t unusual in the kid-flick universe, but there’s an edge to the way the film looks at how people—including Norman’s own parents—handle their interactions with a person they just don’t understand. And as the narrative evolves, the legend of the witch’s curse becomes an even more unsettling example not just of people going to extremes to cast out the square pegs, but how easy it is for those who are cast out to respond in kind—with the frustration of being targeted transformed into rage. It’s not pushing the reading too far to think of the witch’s curse as a metaphor for the kind of horrors we’ve seen in American schools, where those who feel tormented lash out indiscriminately to make sure someone feels the same pain they do. That’s what makes ParaNorman more interesting than the simple critique of mass hysteria that it originally seems headed for, as the “cursed seven” zombies begin making their way through Blithe Hollow. Butler and Fell find some great, pointed gags built on the unfocused fear of the townspeople—though occasionally focused enough for someone to make sure he gets his treat from a vending machine even as the undead descend upon him—and the simple adventure/survival scenario. But those folks are not the only “villains” in the story, nor are the zombies, nor even the legendary witch. The villain is the way fear, frustration and anger can turn into actions that can never be taken back. What a wonderfully wise message in a film aimed at kids: Letting them know that the “be true to yourself” message so many other kids movies sell to them is the easy part. The harder part is knowing how to deal with the emotions when others can’t handle that truth, and being able to allow others to be just as true to themselves.